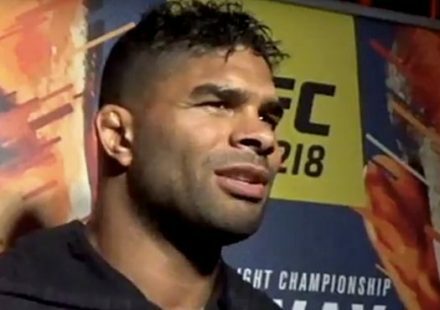 by Damon Martin – MMAWeekly.com Ben Henderson has been waiting to find out who the next challenger for his WEC lightweight title would be, and the wait is officially over. Anthony Pettis has signed on to face the reigning and defending champion on December 16 in Arizona in the main event with the lightweight belt on the line. The news was confirmed to MMAWeekly.com by sources close to the fight on Thursday, with bout agreements already issued and signed for the December showdown. Over the last couple of years, Ben Henderson (12-1) has rocketed up the lightweight division with his stand-out performances and never say die attitude. Defeating Donald Cerrone to win an interim belt, he then went on to beat incumbent champion Jamie Varner as well to solidify his place as the undisputed 155lb king in the WEC. Henderson defeated Cerrone for a second time in April, and will now return to action against possibly his toughest challenger to date. Anthony Pettis (12-1) has the exact same record as the champion he will challenge in December, and hopes to take his three fight win streak to four in a row when he takes on Henderson. A product of Duke Roufus’ team in Milwaukee, Pettis is known as an ultra dangerous striker, but he’s also developed a very slick jiu-jitsu game as well as wrestling defense. Pettis earned the shot by submitting Shane Roller in his last fight, and now he gets his crack at the championship. The bout between Henderson and Pettis will headline the December 16 card, taking place in Henderson’s adopted home state of Arizona. More fights for the card should be announced in the coming weeks.